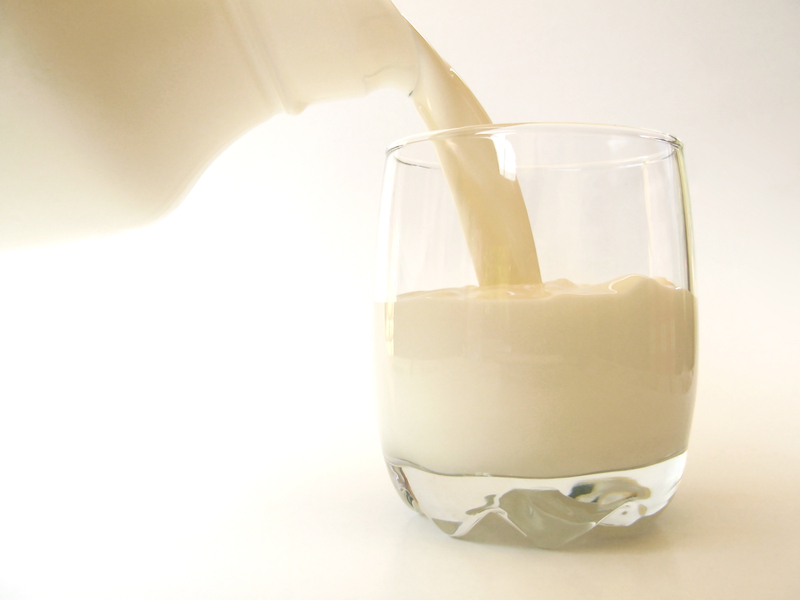 Healthy Milk: What Is It? And what’s standing in the way of your getting it? A report from Harvard suggests that milk from factory farms may be associated with hormone-related cancers because of the industrial agricultural practice of milking a cow throughout her pregnancy. The later in pregnancy a cow is, the more hormones appear in her milk. Milk from a cow in the late stage of pregnancy contains up to 33 times as much of a signature estrogen compound (estrone sulfate) as milk from a cow following pregnancy, as well as much higher levels of other hormones. The very healthiest milk would therefore be raw, grass-fed, organic, and from a cow that is only milked for the first six months after giving birth (which would include the first four months of a new pregnancy). Why can’t we get milk that even remotely resembles this ideal? It’s because federal regulatory policy, controlled by special interests like the dairy industry, is making our milk even more unhealthy—and shackling consumer choice. Congress is set to introduce the 2012 Farm Bill, which will set the course of federal agriculture and food assistance programs for the next five years. It will have a major impact on farmers, consumers, rural communities, and global agribusiness—a primary beneficiary of US federal agriculture programs. Current federal regulations are designed to encourage farmers to take dairy cows off pasture and put them into CAFOs (see our article on factory farms in this issue). The regulations, called the Pasteurized Milk Ordinance, are written for stationary systems to increase milk production per cow; this is known as the Total Confinement Dairy Model—that is, the huge dairy factory farms. This practice, however, cuts the productive life expectancy of the cow in half or even more, creates unmanageable disease (not to mention an environmental disaster), and hurts smaller organic dairy farmers. The real solution is to find the most cost-effective models specific to a region’s particular environment, and balance that with the health of the cow and the best possible milk product. For example, what works in the arid climates of the western US (evaporative systems to keep cows comfortable) will not work in the more humid climate of the southeast. The federal government seems to feel that “all milk is the same,” whereas the nutrient content (such as butterfat and protein) varies greatly between different breeds of cows. According to our sources, the 2012 Farm Bill may contain provisions to outlaw “component pricing” of milk, in which a producer is paid more for higher protein, or higher butterfat milk. Component pricing tends to incentivize higher quality milk and better agricultural practices, because healthy cows put to pasture will produce more valuable milk than sick cows in stalls. Some states have tried to create better policies for milk. California, for example, has higher standards for components of 1% and 2% milk than the government requires—higher protein content, more calcium, and so forth. Yet the government is trying to stop shut down California’s standards. The federal government is also fighting local, organic, and small dairy producers, mainly because of its cozy relationships with Big Dairy (the USDA’s Dairy Industry Advisory Committee). And then there’s the pseudo-independent Dairy Management, Inc. (DMI), which owns the trade names American Dairy Association, National Dairy Council, and US Dairy Export Council. DMI claims to have been “created by farmers, for farmers, and is funded by America’s dairy farm families—and only by dairy farmers. It does not use any government or taxpayer dollars to promote dairy products in the United States.” What DMI doesn’t reveal, but the New York Times does, is that DMI is not a private business consultant. It is a marketing creation of the USDA—the same agency at the center of a federal anti-obesity drive that discourages over-consumption of some of the very foods Dairy Management is vigorously promoting, as we discussed last year. Conflict of interest, anyone? You may recall that there is a new proposal afoot to merge USDA’s food safety wing with FDA’s food safety unit. As we noted last month, the real issue is that USDA is in the pocket of the agricultural industry (“Big Farma”)—the administration instead wants to shift food safety over to the FDA, where both Big Farma and Big Pharma rule the roost. As you know, the FDA has a vendetta against raw milk. Raw milk (which is far more healthful than pasteurized milk) is allowed in some states, though the FDA is shutting down raw milk production whenever it can. Just this month, the FDA shut down an Amish farmer who was selling fresh raw milk to eager consumers in the Washington, DC, region. 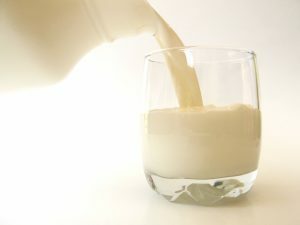 A judge banned Daniel Allgyer from selling his milk across state lines, which resulted in the closing of his dairy operation—a decision that enraged Allgyer’s customers, some of whom have been buying from him for six years and say the government is interfering with their parental rights to feed their children. These customers owned “cowshares” and therefore were part- owners of the cow, but the judge ruled that this was a subterfuge. As Dr. Joseph Mercola reminds us, there have been no deaths in 38 years from consuming raw milk—ever since the data started being collected. There have been over 80 deaths from pasteurized milk during that same time period, including 50 people who were killed in 1985 alone by cheese from pasteurized milk. If you have not done so already, please contact your representative and ask him or her to support HR 1830, the Unpasteurized Milk Bill. This bill would allow the shipment and distribution of unpasteurized milk and milk products for human consumption across state lines. This legislation removes an unconstitutional restraint on farmers who wish to sell or otherwise distribute—and people who wish to consume—raw milk and milk products. Also ask your senators to introduce and support similar legislation in the Senate. Take action now!